August 15,2018- The B.C. 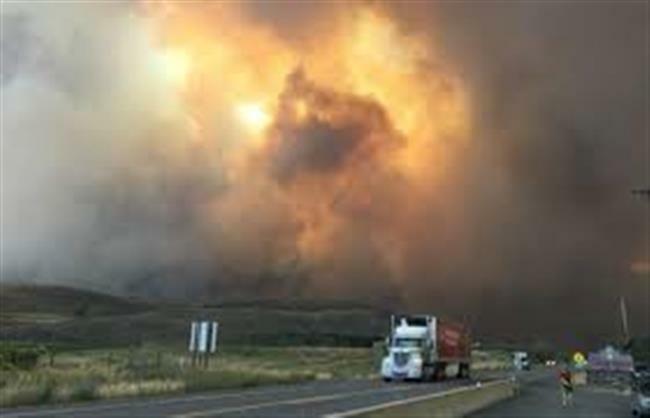 government has now declared a provincial state of emergency due to the wildfires burning around the province. This state of emergency will be in place for 14 days but may be extended or rescinded as necessary. It applies to the whole province and ensures provincial, federal and local resources can be delivered in a co-ordinated response to protect the residents of British Columbia. The state of emergency was declared by Mike Farnworth, Minister of Public Safety and Solicitor General, based on the recommendation from the B.C.’s wildfire and emergency management officials. As of Aug. 14, there were 566 wildfires burning in B.C., with 29 evacuation orders affecting approximately 3,050 people (1,521 properties), in addition to 48 evacuation alerts impacting approximately 18,720 people (9,359 properties). Currently, the province says more than 3,372 firefighters and contractors are actively engaged in fighting fires in all fire regions of the province. This includes 1,427 B.C. contract personnel, as well as 436 out-of-province personnel from Alberta, New Brunswick, Northwest Territories, Quebec, Saskatchewan, Parks Canada, Australia, Mexico and New Zealand. The federal government is also sending personnel and resources, which will be arriving in B.C. in the next few days.